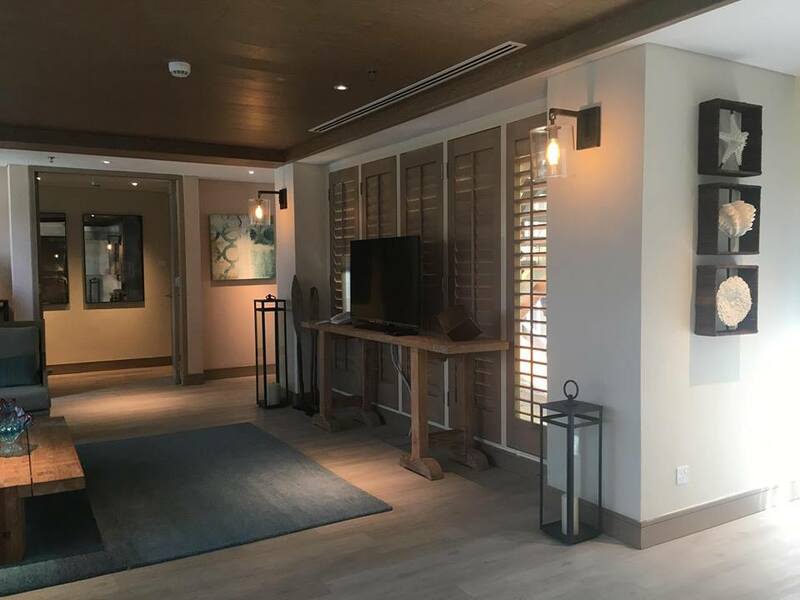 Upgraded amenities provide comfort while guests commune with nature. 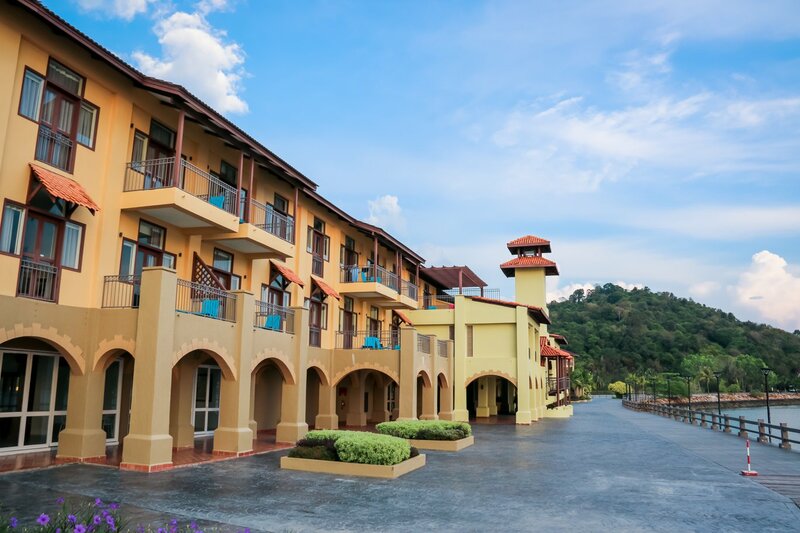 Located in the tropical paradise of the Andaman Sea, Resorts World Langkawi beckons not only with its picturesque surroundings but also its world-class facilities including newly renovated rooms. 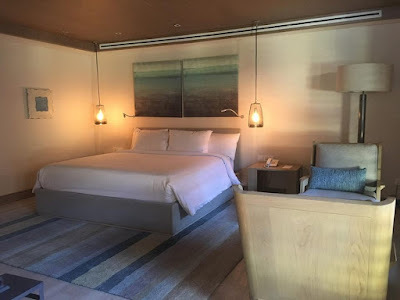 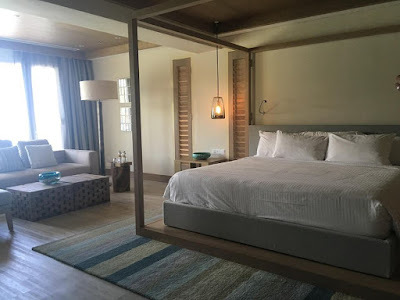 The renovation that the resort has undergone has given it a whole new lease of life, and guests can expect suites, rooms and facilities that provide both comfort and style to ensure their stay is an enjoyable one. For the guest seeking to get away from the hustle and bustle of urban life, this is it—the resort is the tranquil sanctuary that offers modern amenities while at the same time allowing them to commune with nature and enjoy its beauty. Ever since its inception in 1997, the hotel has never failed to impress guests—from its excellent level of service to the Kodak moments provided by its Mediterranean-inspired architectural designs and its scenic waterfront boardwalk that offers al fresco dining. The resort is only 25 minutes' drive from the airport that is located some 15km away. 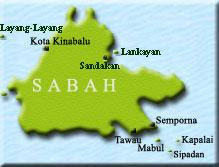 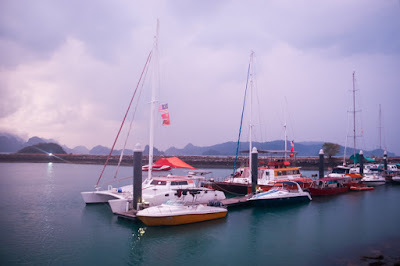 Its proximity to various attractions also makes it a good option for tourists keen to explore the various facets of Malaysia. 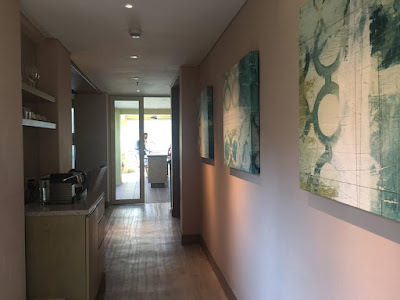 Currently some of the guests at the resort are tourists are from China, most of whom would visit during the summer holidays. 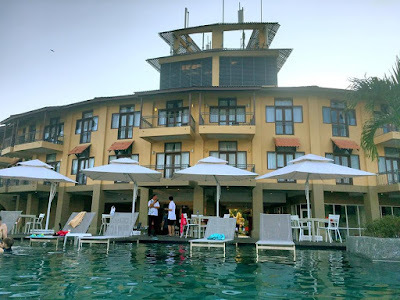 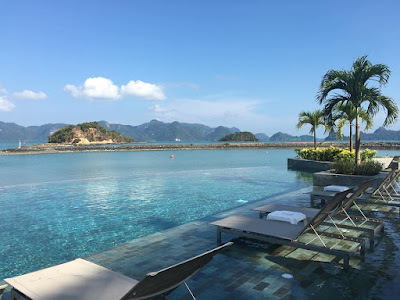 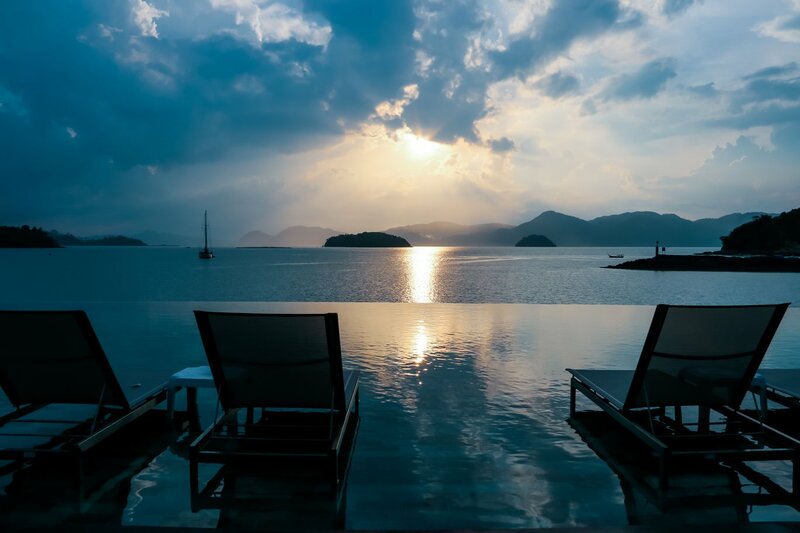 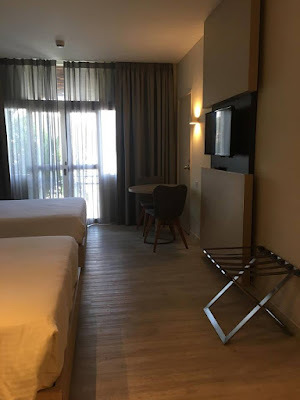 The resort, located at the southwestern tip of Langkawi island, has been enhanced—its upgraded facilities means guests can count on an experience of total relaxation and comfort in a serene environment. 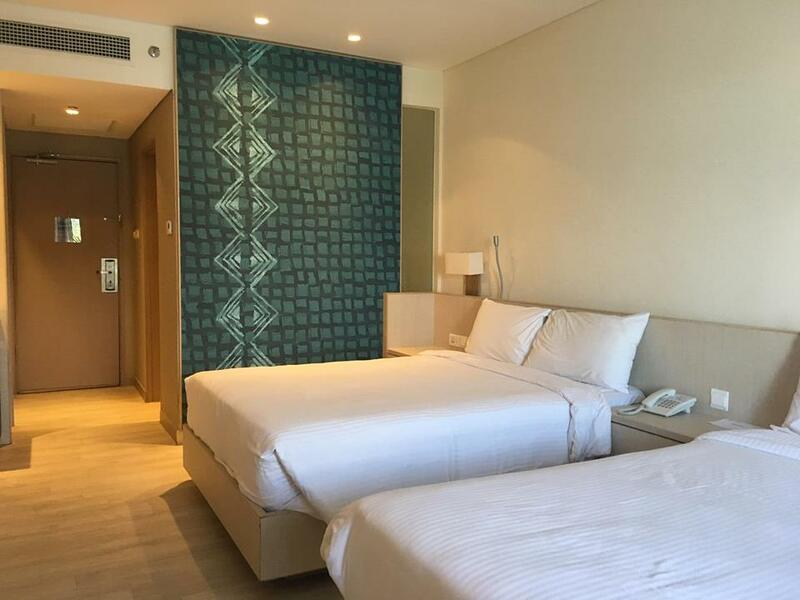 There are 211 rooms in total. Whether guests opt for a panoramic view of lush greenery or a view of the cerulean sea, the newly renovated Standard room, Standard Seaview, Premier and Premier Seaview Rooms are all private spaces that promise a memorable stay. For the upper crust wanting the finest level of service and comfort, there are also the Premier Suite, Signature Suite and Presidential Suite. 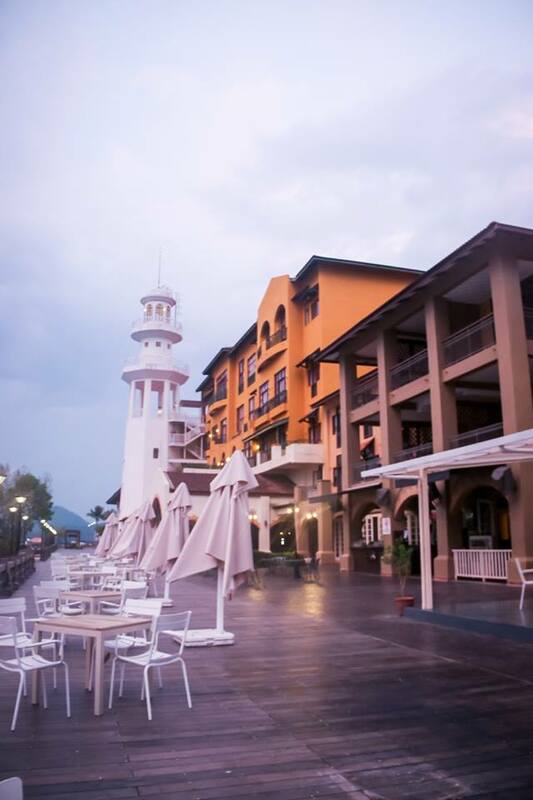 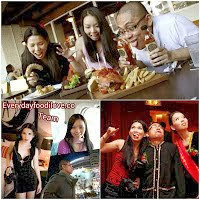 At Resorts World Langkawi, guests can rest assured they will be satisfied with the F&B on offer. 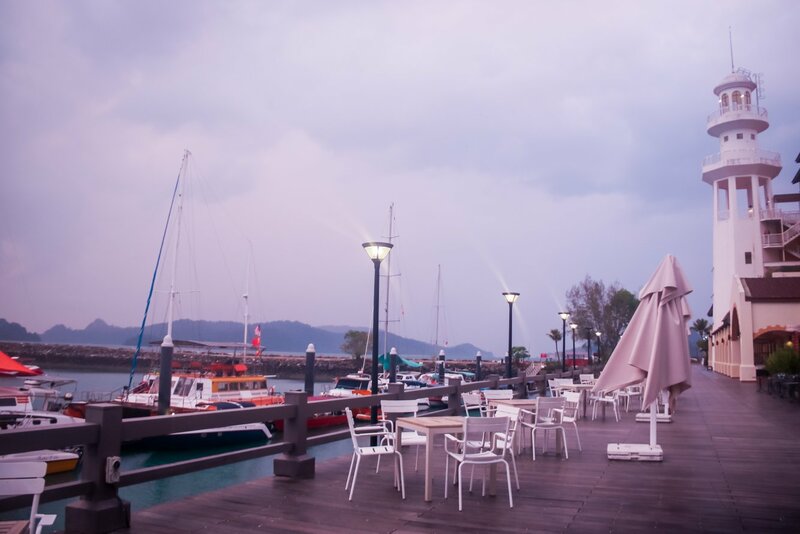 There are three eateries here—and guests get to enjoy a view of the sea while dining at these outlets. 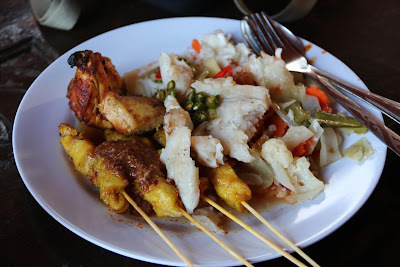 There's Seagull Coffeehouse that offers an excellent variety of Asian and international dishes. 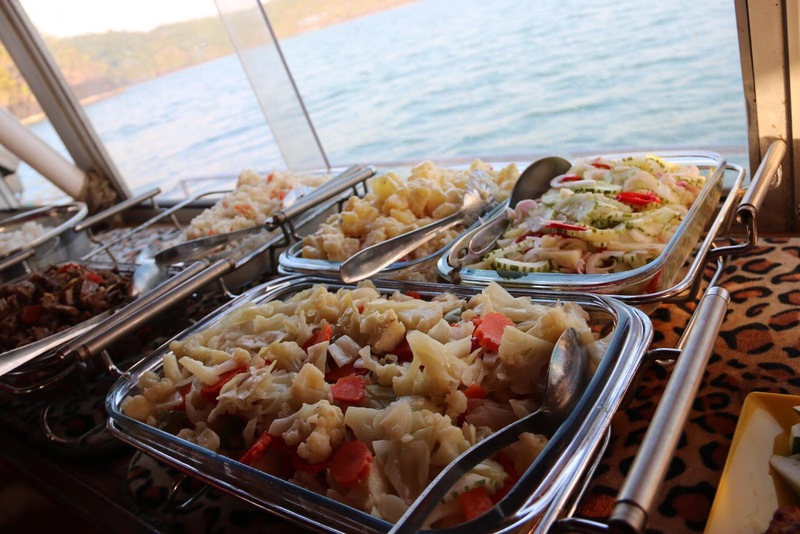 The coffeehouse offers all day dining and serves mainly buffet. 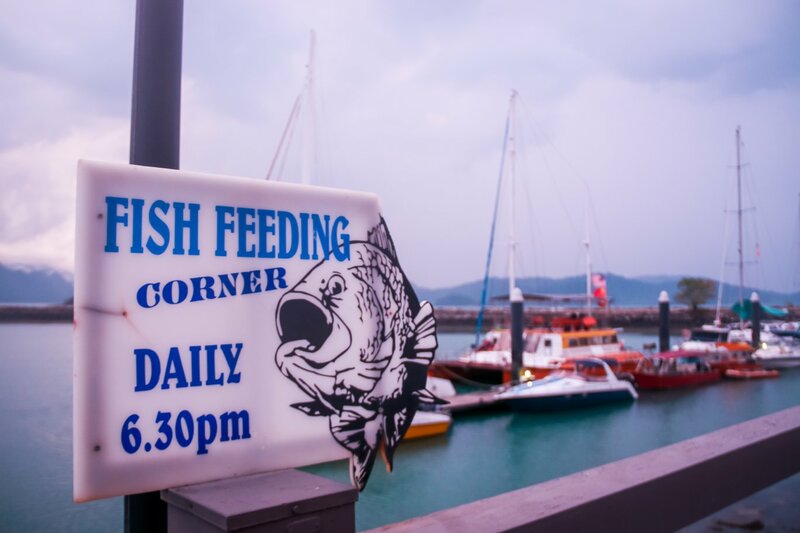 It is open from 7am to 10.30pm. 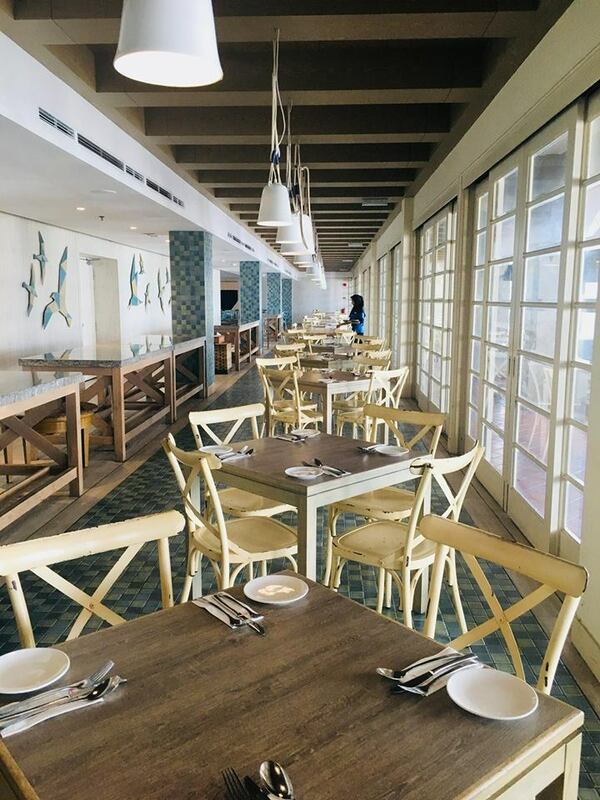 Zest at the boardwalk is where al fresco dining can be enjoyed—imagine doing this while watching the sunset! 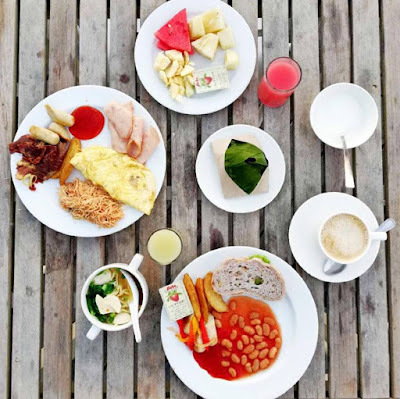 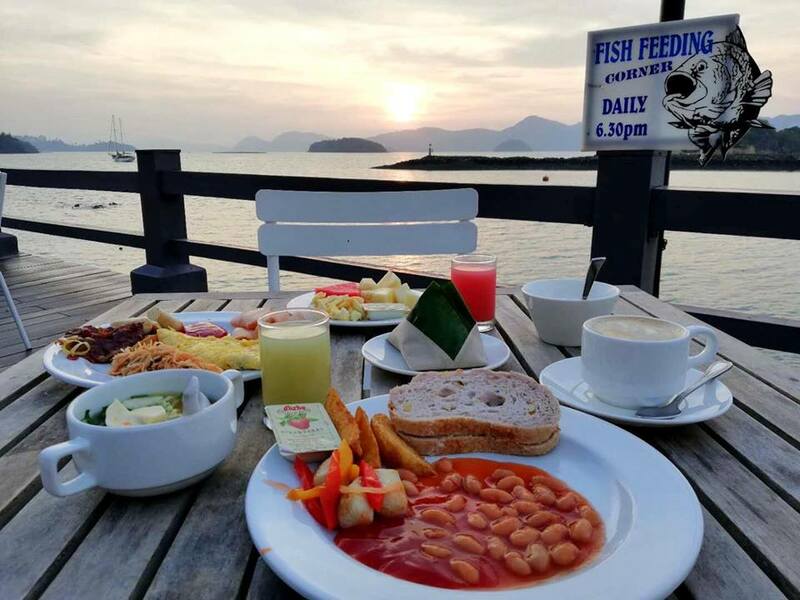 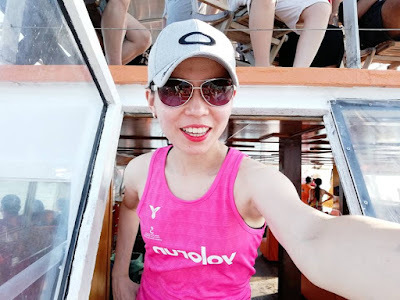 This fine eatery's sizzling specialties are popular among guests who obviously also enjoy the fact that they have a glorious view of the legendary Pregnant Maiden Island or Pulau Dayang Bunting. Zest opens from 12pm to 1am. And after dinner—or before—guests can head over to the Lobby Lounge for some drinks and live entertainment. 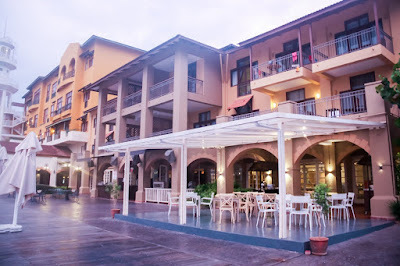 The lounge opens from 12pm to 1am. At any resort, the swimming pool is always a magnet for the young and old alike. 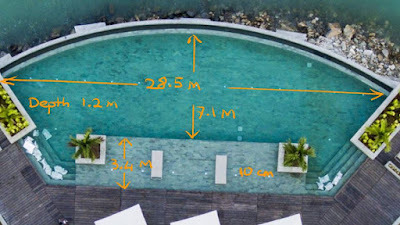 There are two pools for kids here and one for adults. Those not into swimming can enjoy some hours in the gym using a treadmill or doing weights. 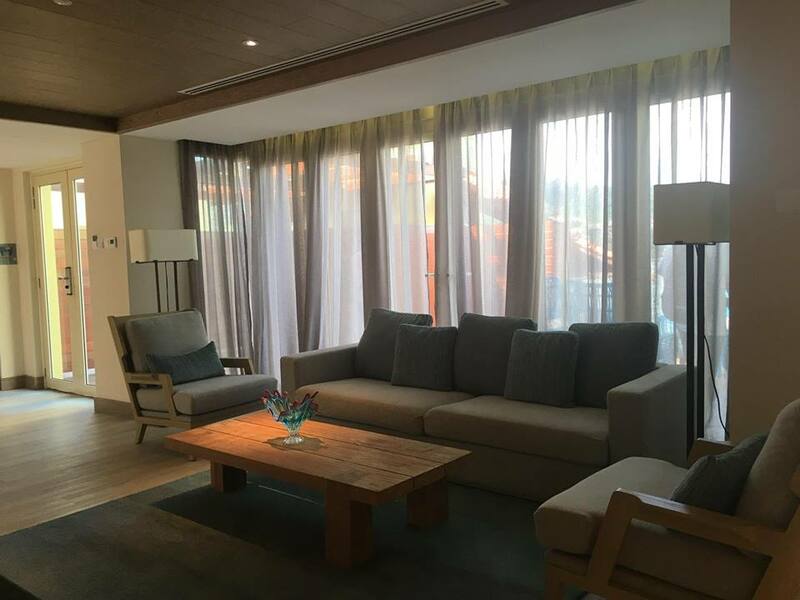 For the guest who is here for both work and pleasure, there are six meeting rooms to cater to their needs. 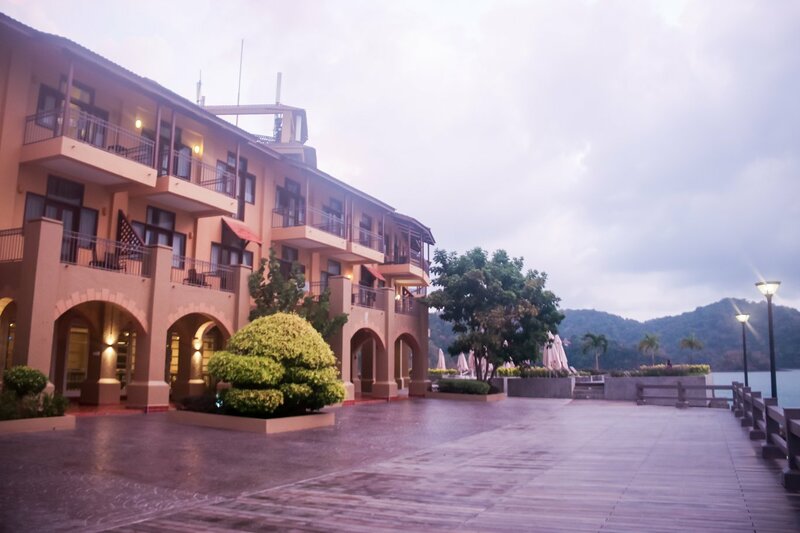 There is also a grand ballroom that can be divided into two meeting rooms. The resort's five-star Taman Sari Royal Heritage Spa is for those seeking holistic treatments to pamper their bodies. 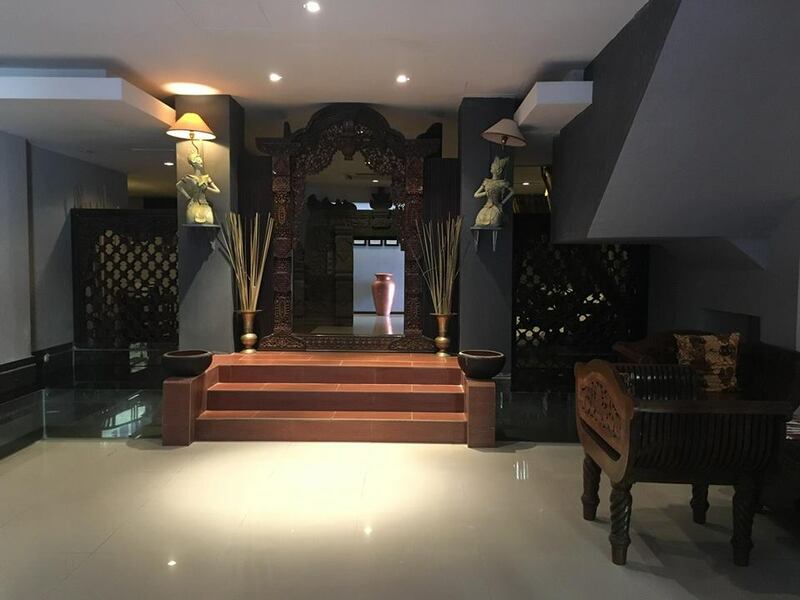 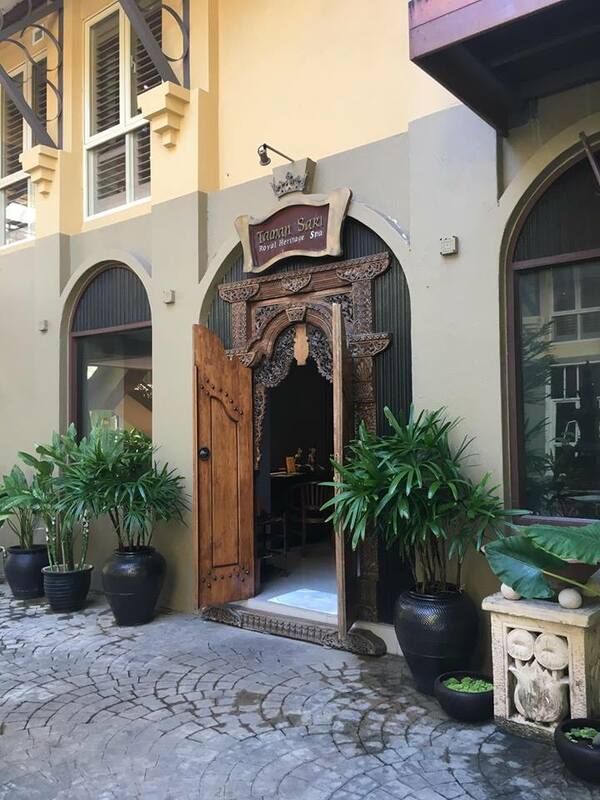 Traditional Royal Javanese massages and treatments are available to soothe one's body and mind, including hand and foot therapy, and aromatherapy massage. For the sport enthusiast, recreational water sports available within the vicinity of the resort include jet-skiing, scuba-diving and snorkelling. 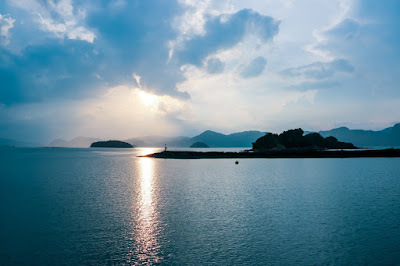 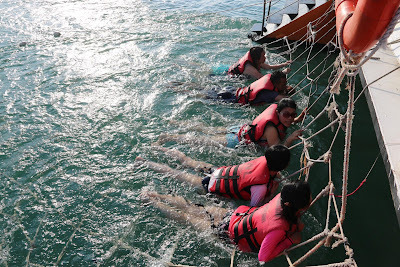 Guests can also opt for island hopping and fishing, or go on a mangrove-and-cave geopark tour. 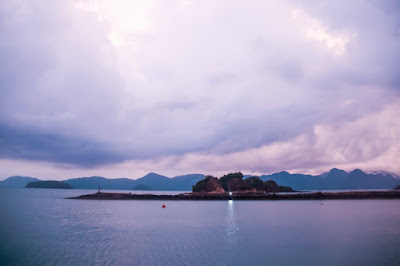 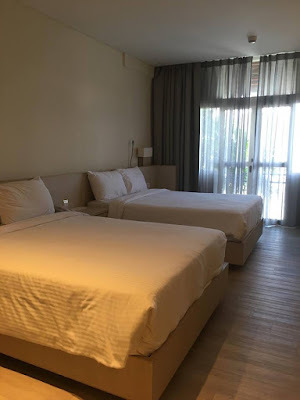 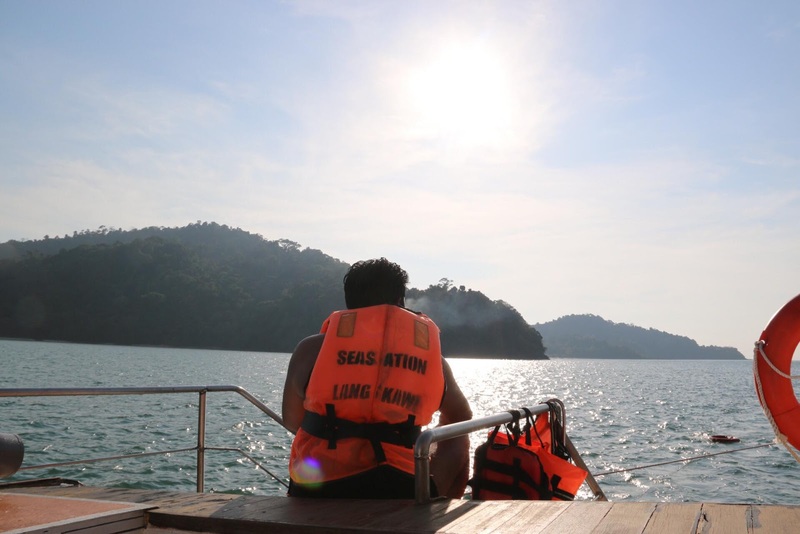 The resort also offers trips to some places of interest, namely Pantai Cenang, Langkawi Underwater World, Cable Car at Gunung Mat Cincang, Mahsuri’s Masoleum (Makam Mahsuri), Telaga Tujuh Waterfalls, Buffalo Park and Field of Burnt Rice (Beras Terbakar). 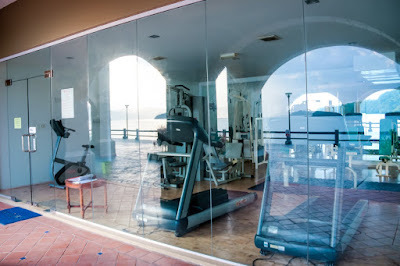 What else to do when staying at the resort? 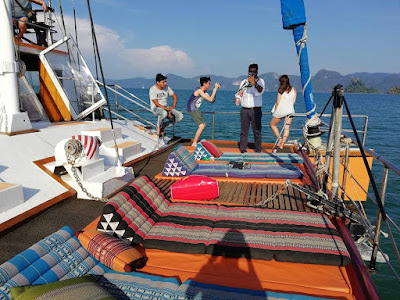 Well, the resort can organize a cruise, namely the Sunset Cruise that allows guests to sail across the sea at sunset from 5pm daily. Guests get to enjoy a three-hour night out experiencing tranquility at sea as evening fades from shades of orange to make way for a sky that is blue and black. 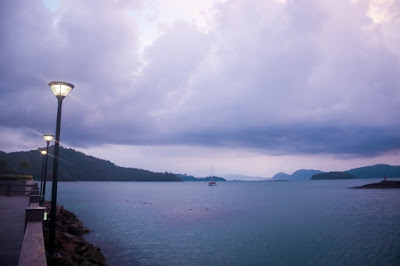 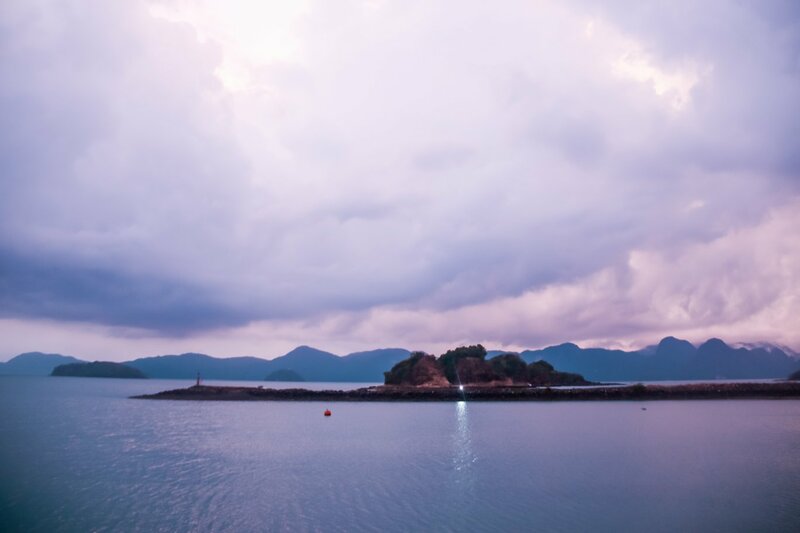 As you cruise around Langkawi’s deep blue sea, music fills the air, allowing you to dance the night away. 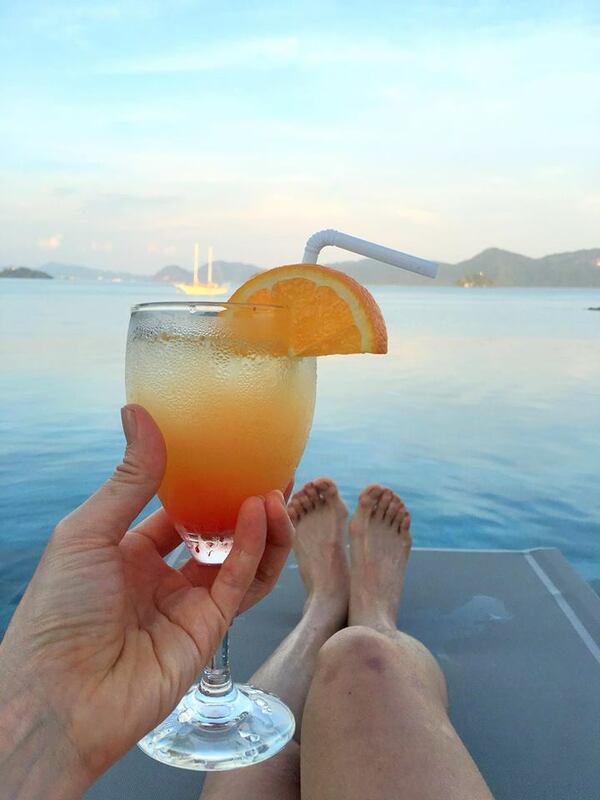 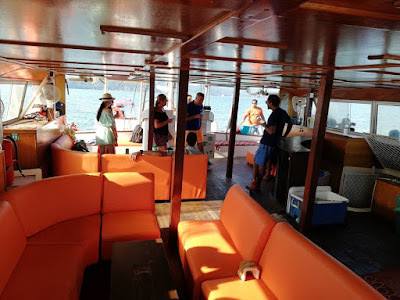 The Langkawi Sunset Cruise Packages include a free flow of cocktails or mocktails, salt water jacuzzi and barbecue gourmet feast. 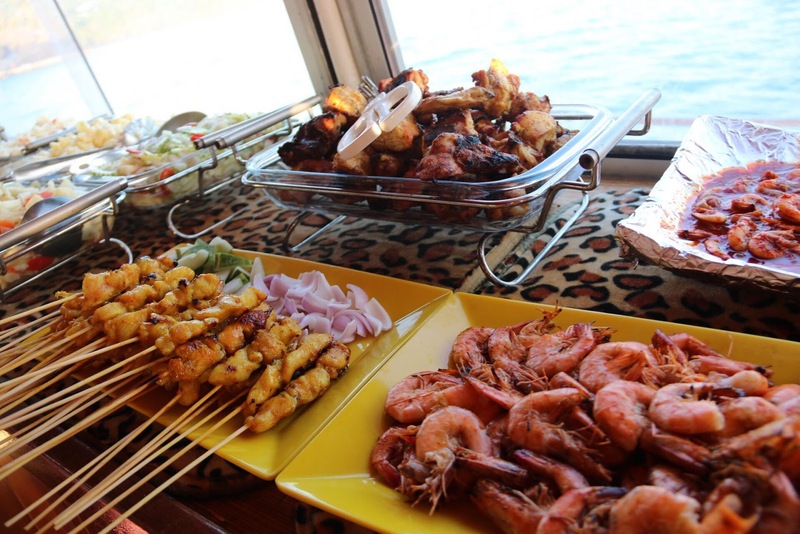 An array of barbecue dinner spread is prepared by the amazing ship crew; fish, shrimps, chicken, beef, salads and more combine to guarantee a feast fit for a king or queen. 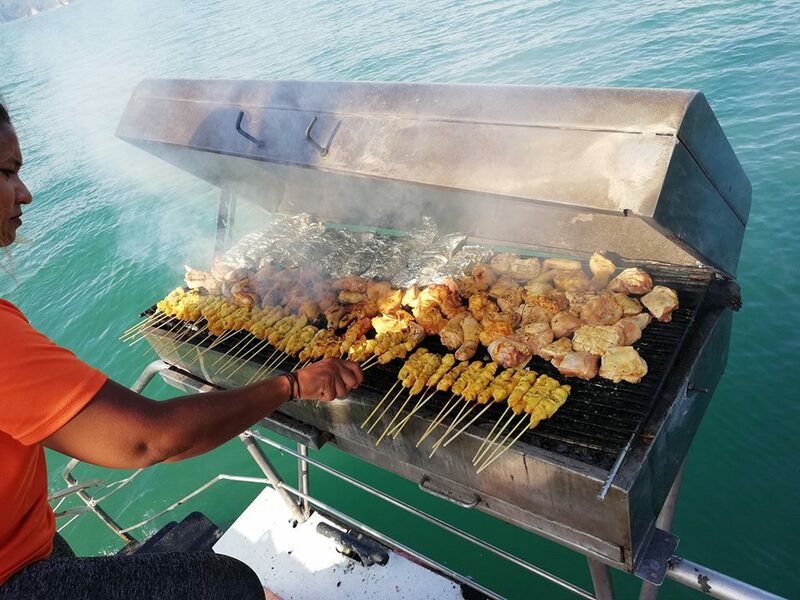 Surely nothing can be more adventurous than dining aboard a boat and if you are with your loved ones, the experience would be so much more meaningful. You will definitely enjoy your timeout on the water, the gentle breeze of evening sea helping you to de-stress. 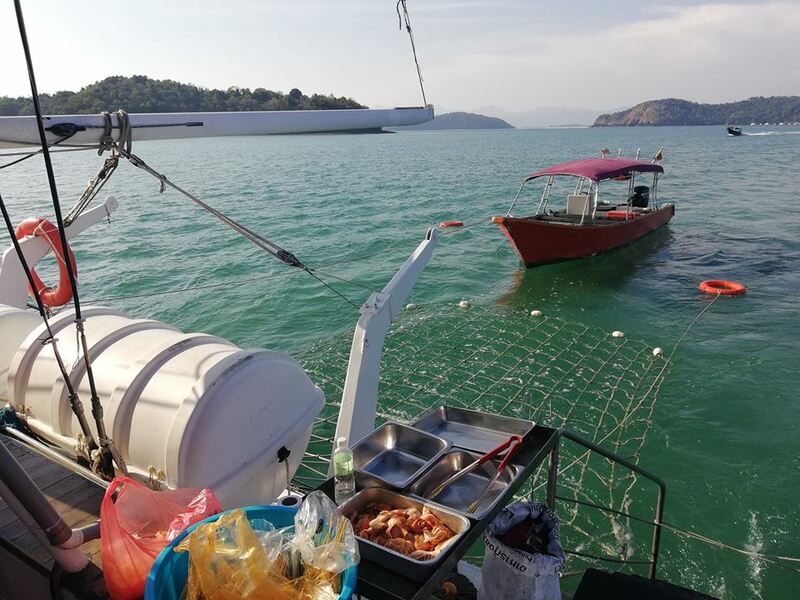 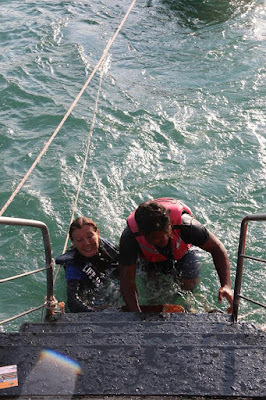 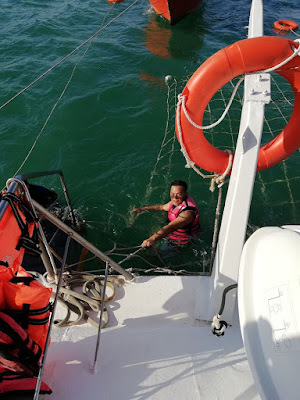 To further enhance your experience, a net is cast down on one side of the boat, allowing you to take a dip in the warm waters of the Andaman Sea. 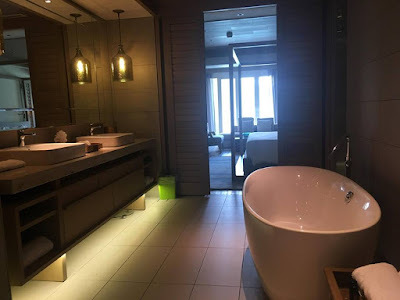 This Salt Water Jacuzzi adds a simple yet significant touch to the cruise ride as it allows you to strip down to your swimsuit and immerse yourself in the water. Or, you can remain aboard, enjoying the feel of wind in your hair while you sip Piña Colada. 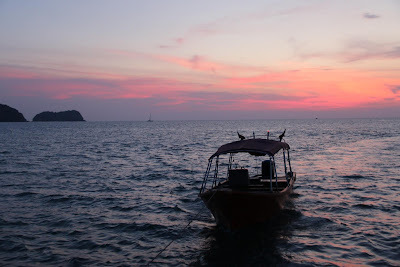 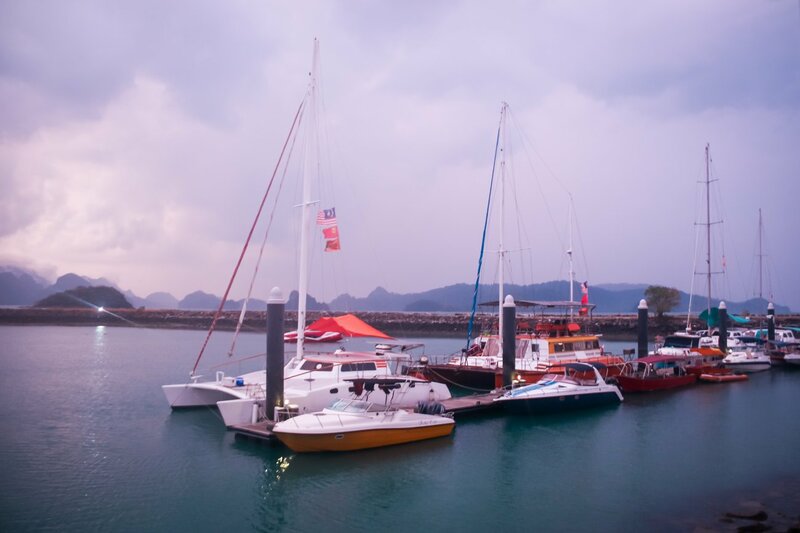 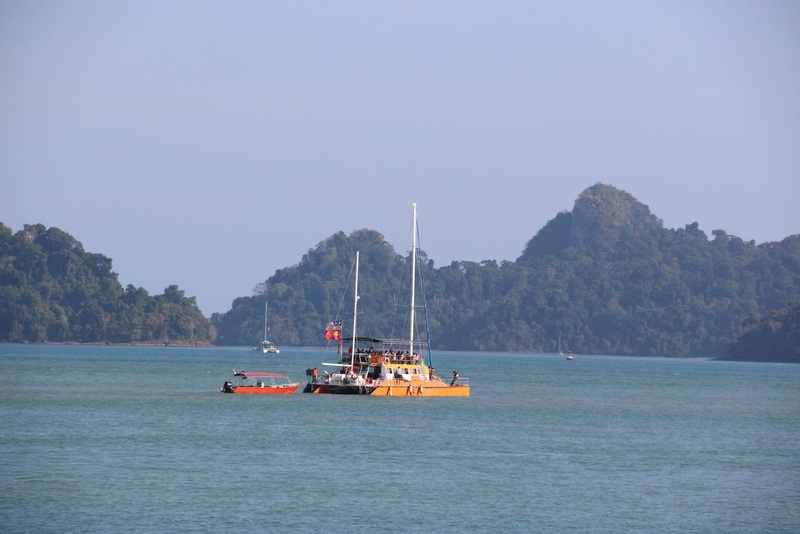 The Langkawi Sunset Cruise returns to the marina at 8pm, after the sun has gone down.